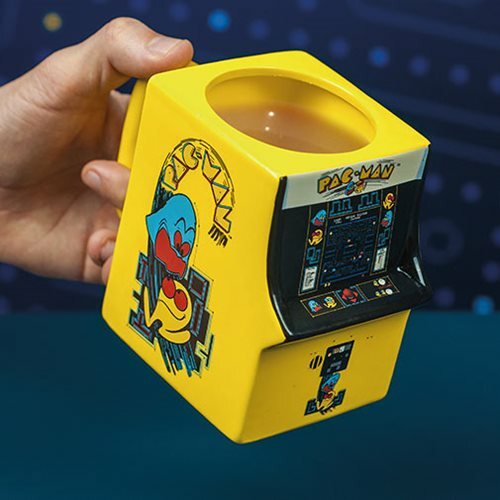 Get the ultimate power-up boost by taking your refreshment to the next level with this iconic Pac-Man Arcade Shaped Mug! 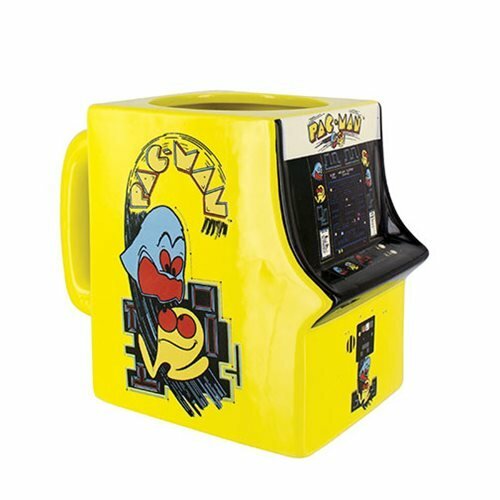 An over-sized drinking mug inspired by one of the greatest arcade games ever made, the Pac-Man Arcade Shaped Mug takes its distinctive design from a classic arcade machine and features Pac-Man images and logos. Makes a great gift! Hand wash only. Not dishwasher safe. Do not microwave. 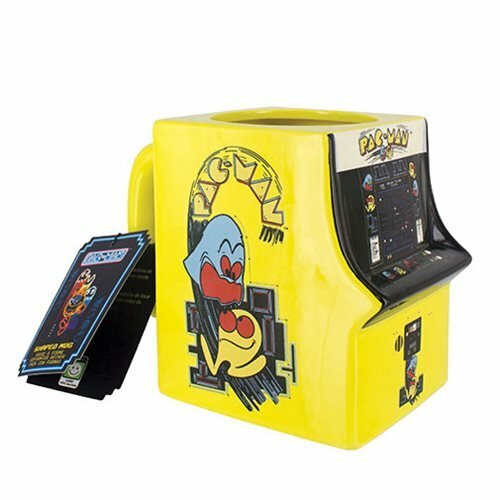 Arcade Games with Breakfast - Pac-Man Cabinet Mug!